Derby Vipers kick start their season in a 58-20 win. 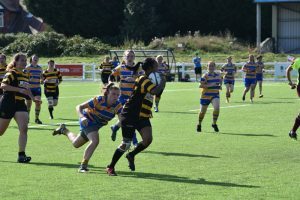 Derby Vipers Women’s Rugby Team warmed up in a pre-season friendly at Derby Rugby Club on Sunday. They set a high standard of game play for the upcoming season, with a victory of 58-20 over Old Leamingtonians Ladies. The Vipers lead from the start, with Megan Stephens soaring over the try line in the first four minutes from kick off. 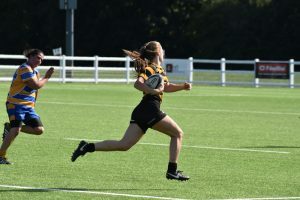 Success continued for Stephens within the first 10 minutes, where some skilful footwork and out-pacing the opposition secures her second try of the game. 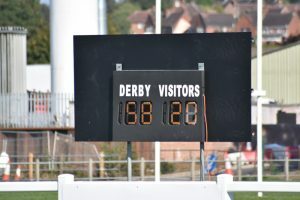 Despite Derby’s effort to hold them off, Old Leamingtonians fought back to score a great team try at the 15-minute mark. A scum win for the Vipers leads to some excellent pod work, with the forwards making ground, but the Leamintonians apply plenty of contesting in rucks, causing some mistakes from the home team. A quick ball from a ruck almost allows Megan her hat trick, however, holding on to the ball gives the opposition a penalty. A quick kick to the side line is taken. The first line out of the game at 19 minutes, sees the Vipers with a big steal by Alicia Jakeman and an excellent run from skipper Chira Roberts to score the Vipers’ third try just before half time. 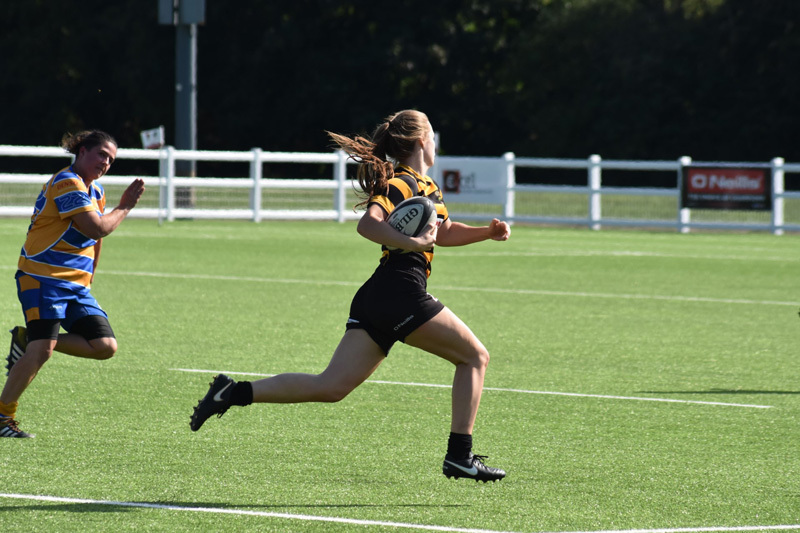 Some excellent phased play in the start of the second half led to a quick pop and dash over the try line by Jenna Bierton, which she converts at three minutes in. A lineout for the Vipers is lost to the opposition, however some excellent pressure, an amazing tackle from Ruth Smith and counter-rucking in centre field by the forwards led to a change in possession. With some quick hands from the backs, Bierton scores her second for the day. A huge scrum from the Vipers allows scrumhalf Emily-Jane Dix to weave amongst players towards the try line, with a few speedy passes and a loop around, Dix scores in the corner. Some set play from the home team and excellent team work allows Idiil Abdi to get her hands on the ball and her hand-offs in motion, diving over the try line. Leamingtonains have a second wave of excellent attacking work, allowing a breakthrough try by one of the centres. A second breakthrough by the opposition almost makes it to the line, however Megan Stephens makes an amazing chase down, to steal the ball. A gap in the defence allows a dash for Jenna Bierton, with the try finished off by Katie Peggs increases the lead for Derby Vipers. Making it four trys for her in the game, Megan makes two breaks in a row following some excellent forward play, driving the ball up the pitch. A lucky gap in the defence lets the away team score one more try, equated from some strong pod work before the end of the game. The match ends with the final score of 58-20 showing an excellent victory for the Vipers over the Old Leamingtonians. Derby Vipers begin their Women’s NC North East One league campaign this Sunday at home (2:30pm) against Hartlepool Ladies. The side train 7pm on Wednesdays at Haslams Lane and are continuing to recruit players, both experienced and beginners. Contact membership.ladies@derbyrfc.com for more information.